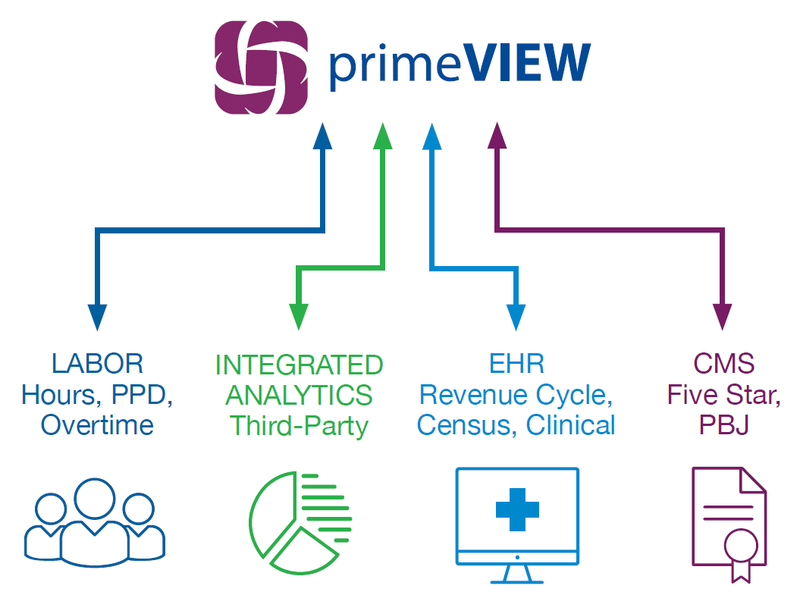 Our primeVIEW solution solves the challenge of getting the accurate and timely post-acute facility metrics you need to impact quality of care. Consolidating data such as census, labor, revenue cycle, satisfaction scores and Five-Star Quality Ratings from various systems, primeVIEW delivers an easy-to-navigate interface that automatically refreshes in near real time. With an unparalleled, multi-dimensional view of operational performance supported by benchmarks, rankings, and trends – it's everything you need to make data-driven decisions. > Leverage interactive views to run daily meetings. > Accelerate decision-making with accurate facility/patient views. > Quickly identify trends with enough time to proactively affect outcomes. > Cultivate performance to your competitive advantage.